Awesome article Gareth.. Was struggling to find out information on this last night, That’s a good start for me… I will post some of my questions here it self on the same topic after going through it again. Awesome article Gareth… Only worry for me on the first look is the workflows are running under SLA Owner account, which is updating the modified by & on of my case with the System admin account.. Might fail some of my reports :(, Did you observed that ?? Any other alternates you think ?? Can I easily calculate the resolving time using the timer? I tried but when I resolve the case, the timer says only succeeded instead of showing the time used. I don’t think the timer control will help you there. You would need to calculate the resolution time yourself. Which will be difficult if you want to report it in business hours. I have been trying to figure out why this wont work, I have created the SLA, associated it with an Entitlement, and then associated the Entitlement with a Case, But i have the issue that at the top of this article you have the “Applicable SLA” section with dates inside of that. Neither my colleagues nor I could figure out how to get the information in there. If you could give me some help that would be Fantastic. Are you not seeing those fields at all or are they just not populated? If those dates are not populating perhaps you are missing the service hours / holidays setup? (steps 1 and 2 in my post). Wow Thanks for the fast reply.. I have the service hours, I didn’t put any holidays cause I assumed if there were none then it would still work just would count everyday, however I have just entered the a few holidays but the fields still aren’t populated. I’ve sorted it and started from scratch and it works, Thank you! While this mechanism is useful, it seems to me to be unfinished functionality (I really do hope its classified as work in progress). 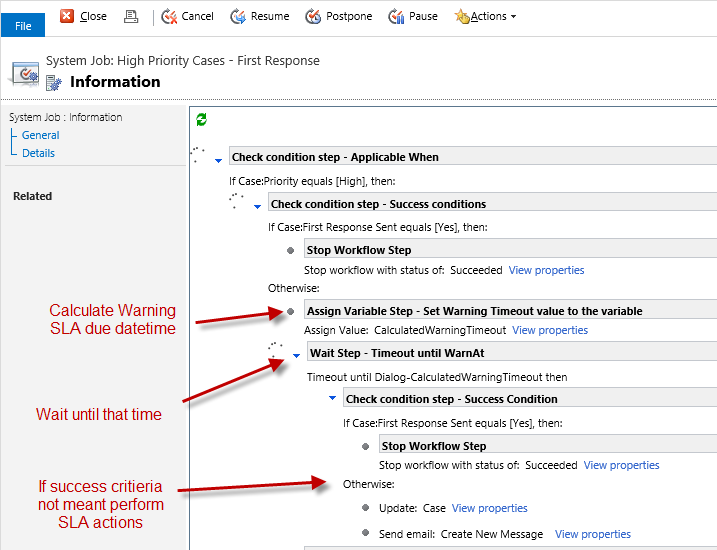 * You cannot call a work flow in your warning / failure steps – arguably this is OK, since you might just set an SLA status field which in turn triggers some action – which could be uniform across the different rules for that SLA field. However its a pain if you just want to call a work flow directly to do the same action for the SLA’s. * All SLA times are referenced as offsets from the creation time of the case (as far as I can tell). This presumes that all cases are correctly set-up when first saved. 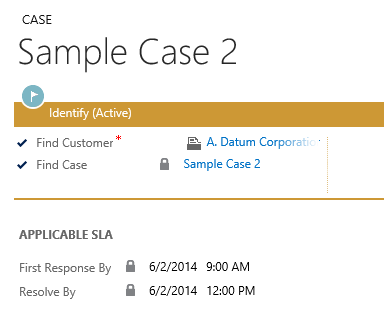 However what we typically see is that cases once triaged follow a different SLA expectation based on their parameters. We would far rather like to see the SLA as relative to when the SLA criteria was met. Now I may be completely wrong about this – so welcome correction! – first response SLA (tighter for more important customers) – this is the time for our team to triage, classify and/or seek clarity from customer, and to assign to a team to act. 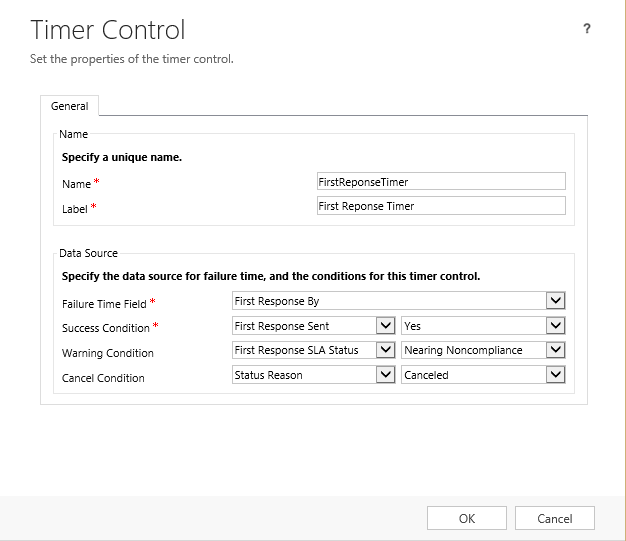 – followup timer – (again tighter for more important customers, BUT importantly, varied by what kind of case it has become at triage [request, fault, help, etc.) – this is the time before the team assigned to do the work examine it. – resolution timer – entirely based on classifications along the way. As I said, out of the box it seems that assumption is made that the case is nicely triaged as created. This is seldom so for us. Cases come by email, the portal, and more rarely by phone. Rarely does the case that is created have all the right meta to dictate all its SLA’s aside from first response. I’m doing tests with SLAs and I don’t understand the behaviour of “firstresponseslastatus” and “resolvebyslastatus” fields. 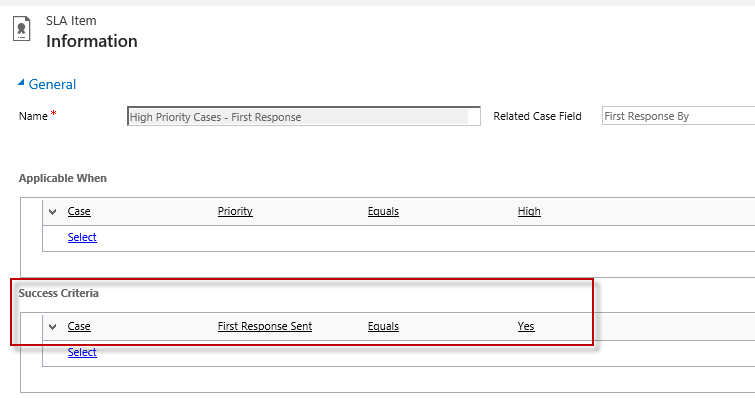 I believe that it would change automatically with “responseby” and “resolveby” fields depending on if it is succeed or not. Another doubt is if is possible to pause the SLA.